Looks like a gearstick knob. Overpriced pods, after a few weeks you will forget about the machine and it will turn into a piece of decoration. 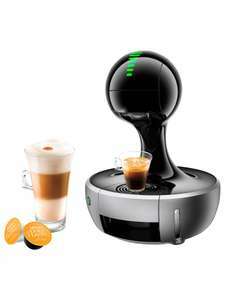 I like my Dolce Gusto that my grown up children bought me last Christmas. It cost £75 (not this modal but touch automatic) and I received £50 worth of vouchers with it, I needed the receipt to claim the free pods, that's how I know what they paid. There is no mention of free vouchers with this deal so not a particularly good deal. Deal posting newbie! This is lyenyo first deal post. Help out by leaving a posting tip or just to show your appreciation for their contribution.